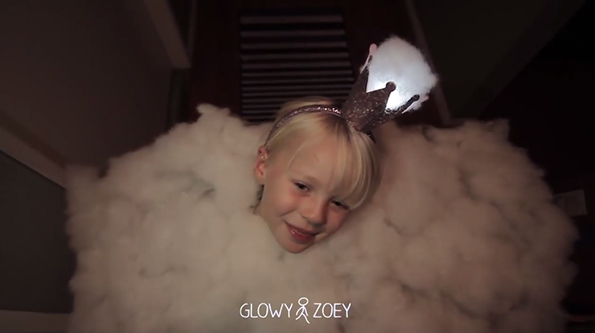 Dad and Youtuber Visual Burrito brings us this awesome Princess Cumulus costume for his daughter Zoey. It’s a cloud costume that lights up and makes sounds like a thunderstorm. This dad is also responsible for the LED stick figure costume from a few years back. Basically the coolest dad ever.